Q. How can I find the boiling point for a specific compound? 4. 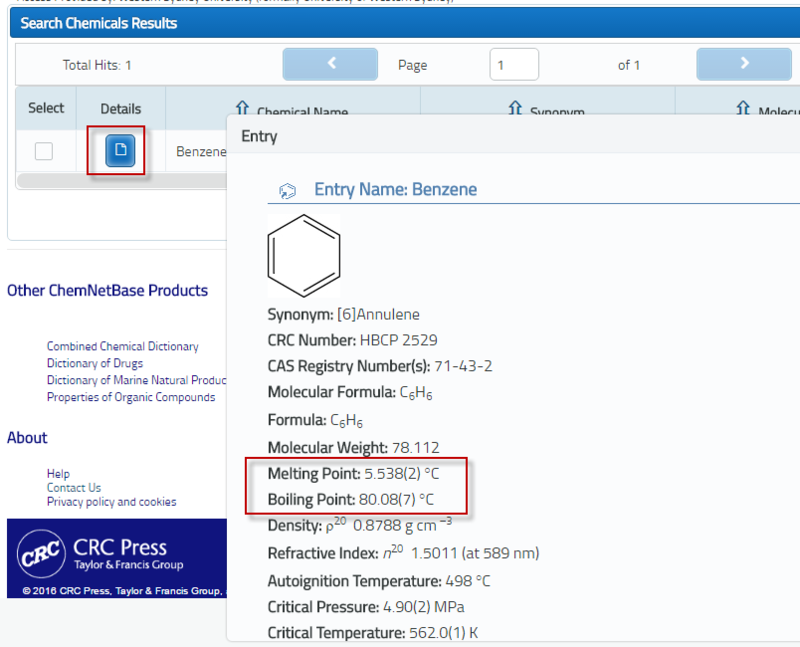 Click on the blue icon from the Details column and information on the compound which will include boiling and melting points will display in a pop up window.